While some African Presidents were passionately doing their best to develop their countries some others saw more need to glorify folly. Accused of kleptocracy, extreme dictatorship and corruption, President Eduardo Dos Santos most recently lavished $2 million dollars on American pop-star Nicki Minaj. As the world frowns at the pop star’s insensitivity, Africa is more heart-broken with the fact that a leader could “waste” such an amount without batting an eyelid whereas, it is on record that half of Angola’s population live on less than $2 a day. Will it be a crime to invest this money in these citizens’ welfare? President Eduardo, however, has been responsible for some huge developments in the country. For instance, Angola is currently leading in African crude oil production and through the efforts of his regime, the nation is completing major projects with the mutual assistance of the Chinese government. Angola is one of the world’s fastest-growing economies in 2015. President Eduardo has declared his long-awaited step down as president, come 2017. President Kagame has done a good job in gradually giving the nation a reason to overcome the genocide trauma and to dream bigger and brighter. In 2015, Rwanda was all over the news for all the right reasons, boosting the economy, the climate-change-induced 30 million tree planting in local communities, embracing the one African passport policy, launch of renewable energy(solar power) and to top it all, its capital Kigali was named UN’s most beautiful city in Africa. As a sign of a country that enjoys mutual respect between leaders and followers, Kagame sought the consent of his people through a referendum on constitutional changes that will automatically qualify Kagame to be president till 2034. An overwhelming 90% of electorates voted in his favour. That says it all, Kagame appears to be the president of the people and for the people. With a 58% electoral votes, Magufuli unexpectedly became the current president of Tanzania. He is reputed to be a disciplinarian, and as such, drastic changes have been experienced in Tanzania within his young administration. First of, the nation boycotted the Tanzanian independence celebration for street cleaning; Magufuli has begun to relieve shady and lackadaisical officials of their duties. He has also been praised for his implementation of school fees reduction, and a back to back fight against corruption. More than all of his “bulldozer achievements is the no tolerance given to the extravagant spending of officials. Without hesitation or any form of mediocrity, he downsized unnecessary lavish expenses on government officials by a 99.9% rate and instead invested the money in health care and road construction. From all indication, his recent actions comply with the long-awaited expectations of the Tanzanian people. Buhari took over office from Goodluck Ebele Jonathan, whom in his administration significantly took the Nigerian economy to the top spot. Right from his campaign, Buhari vowed to rid the country of corruption. Despite this, many debates on the sincerity of this mission- if it is genuine or just a procedure to victimize a selected few, as it appears that the “culprits” are from the opposition party. However, many stunning but positive discoveries of looting officials have been made, gradually but duly to be prosecuted. In terms of economic state, Nigeria sadly lost 2.2 trillion naira within his 6 months in office (partly blamed on the decline in global oil price). Amidst all his endeavors to check corruption such as the implementation of a Single Treasury Account, Buhari has always been controversy-friendly – first he is robed in the boisterous arms deal case, secondly, the billions of naira budgeted for government officials, and then without any form of polls, Buhari signs the Saudi Arabia Islamic military alliance, making most Nigerians accuse him of the pre-intention to Islamize the country under the guise of fighting terrorism. As unfitting as it is for a man of his calibre and experience, let’s just say he is making baby steps in democratic leadership. Buhari is reported to have implored Nigerians to be ready for “hard times” in 2016, What a historic new year wish! In any case, Nigerians attest to the improvement in electricity as they hope for a drop in fuel price in 2016. Africa predominantly remembers South Africa in 2015 for the Xenophobia calamity which President Zuma tackled and apologized for in an open letter. Economy wise, South Africa grossly benefits from the efforts of past president- Thabo Mbeki; South Africa is EU’s largest trading partner in Africa. After a moment of a somewhat stabilized economy in Zuma’s administration, it took a more staggering and stagnated trend in some sectors, registering the second lowest growth in 16 years at 1.5%. However, there are significant progress in poverty alleviation and provision of basic amenities – water, electricity and education. It is encouraging to know that South Africa’s life expectancy rate has increased by 9 years since 2005 to 2014 with a ratio of 52:61 years respectively. There has also been a relief in the unemployment rate. Personality wise, Zuma might not be the people’s beloved at the moment. His controversial involvement in the $13 million security upgrade scam; “almost” charged with corruption, fraud and racketeering and was dubiously acquitted; with the non-justified sack of Nhlanhla Nene that led to the 5.4% drop in SA currency, all these presents president Zuma in a rather negative light. “if it becomes necessary, I shall travel to Washington, DC, get down on my knee and ask his(Obama) hand”. 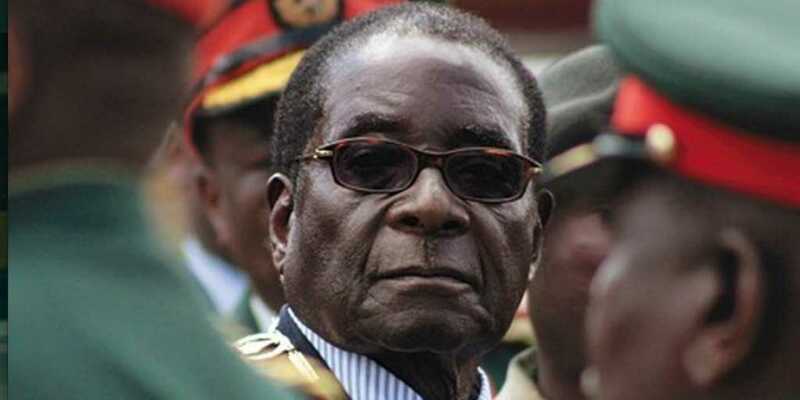 Behind Robert Mugabe is his wife, Grace Mugabe who has been all over the political scene from December 2014, when she took up the position of ZANU-PF Women League leader. Her unsolicited political presence and “interference” is founding a thought that speculates she seems to be taking over the country’s decision-making. Who knows? she might soon become the nation’s first female president. Thanks to Mugabe’s administration however, the Chinese government recently cancelled Zimbabwe’s $40 million debt as they(Zimbabwe) also hope to still be assisted with a $1 billion loan to expand their largest energy project. In 2015, Zimbabwe officially adopted the use of the Chinese currency over Zimbabwe dollar. 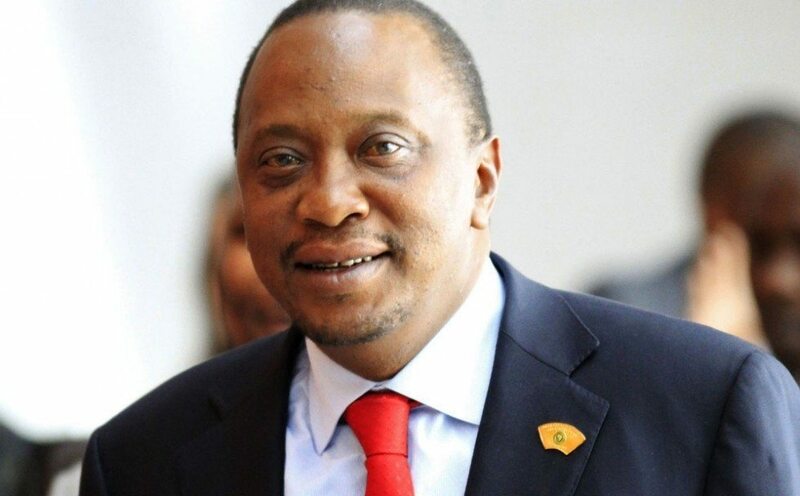 The All-Africa Students Union (AASU) student leaders, from 12 local universities have presented the Africa Education and Leadership Award to President Uhuru, giving him the honorary title of the president of the year. It is on record that his administration is responsible for making Kenya the economic power that it is in East Africa and the 9th largest economy in Africa. We can say that the award was deserving for these reasons – introduction and implementation of progressive economic programmes; aviation development; free maternity services (in collaboration with his charismatic wife – Margaret Kenyatta); employing over 3000 youths from the ghetto; upgrading to a more digitized database; improved electricity; road constructions/transportation-which has helped create jobs; improvement in telecoms, education and Agriculture. John took up the leadership of Ghana after the sudden death of his predecessor, John Atta Mills, 2012. On December 15, 2015, Mahama launched “Accounting to the People”, a book that consists of his achievements so far. From this documentary, his line of action and interests are not any different from those of his colleagues, currently doing well in their administration. According to Mahama the government is moving head on with housing matters, electricity, water and transportation; improvement in health care through the 640-bed capacity facility for the Ridge Hospital currently under construction and the continuity of NHIS programmes; 10,400 scholarships have been awarded to some community students and the government has assisted in over 1000 school projects – provision of school and study materials. His educational reforms, with regards to the free secondary school education, he has been greatly commended by The Director-General of UNESCO, Irina Bokova. Late last year, Mahama, the “supporter of the less privileged” banned first class travels for public officials. In 2015, Nkurunziza was installed by the “constitutional court” to serve a third tenure, after already ruling for almost 10 years in a row, and against the people’s wish. This development prompted subsequent violent protests resulting in the death of about 100 people and the emigration of over 150, 000 citizens. It raises concern when neighbouring countries, Rwanda and Tanzania are doing so well and Burundi is not. Despite the disapproval of both African and international bodies, coupled with a coup attempt on May 13, 2015, Nkurunziza still became the president in July. From then till now, Burundi has never been the same as AU offers to embark on a peacekeeping mission in the country but appears the gesture is opposed by the government, terming it an “invasion force”. Subsequently, a rebellious group, the Republican Forces of Burundi, more commonly known as “Forebu” has set out motion to depose Nkurunziza. 2015 registers yet another high-profile political upheaval since the genocidal civil war and ethnic clashes in Burundi. Burkina Faso has been pinned with the trend of not having a steady leader for decades now; thus their leadership pattern has existed with an air of confusion and worse still affecting the state of the nation’s economy. Aside from the fact that this is a naturally endowed West African nation especially in the areas of gold and cotton production, the nation is more known for military coups and interim administrations (usually military). In 2015, (23 September 2015 – 29 December 2015) Michel Kafando served as the first non-interim president of Burkina Faso. This was as a result of the 2014 uprising that prompted the unwilling resignation of one of Africa’s sit-tight leaders, Blaise Compaoré who has been in power since 1987. It is worthy to note that his re-election into power for a period of 27 years has been controversial. Blaise is however currently being charged with the assassination of his comrade and Burkina Faso’s Head of State, Capt Thomas Sankara. The pathetic political situation has questioned the relevance of the rule of law- human rights- in the country. On the 29th of November, 2015, Roch Marc Christian Kaboré, was inaugurated as the first ever elected democratic Burkina Faso President since independence. Hopefully, this bold and significant step will open up doors for growth and development in the nation.